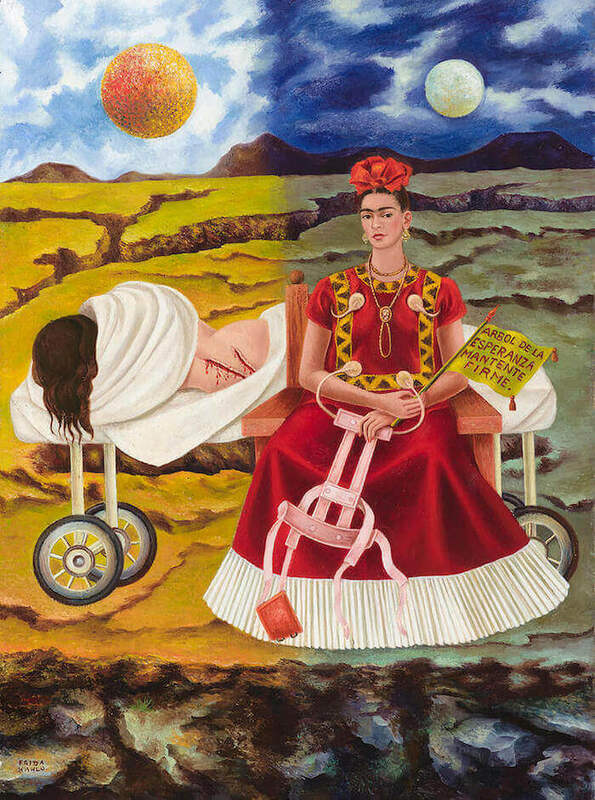 the one on the left is the Frida who has just been rolled out of the operating room on a hospital trolley and the other is the forceful, upright and confident figure of Frida. The painting is divided into two halves, one day and one night. The maimed and bleeding body is assigned to the sun, which in Aztec mythology the sun is fed by sacrificial human blood. The two gaping wounds in her back are echoed in the fissures in the barren landscape behind. 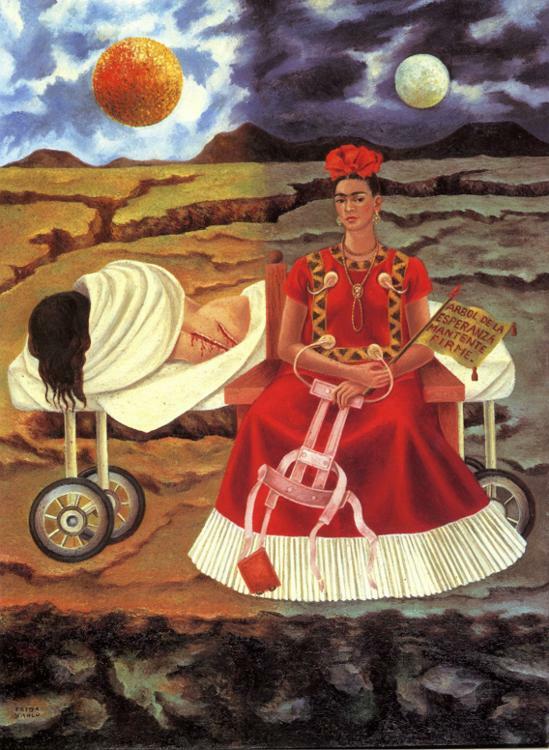 The other Frida, looking strong and optimistic, is assigned to the moon, a symbol of womanhood. In her hand she holds the corset that she has "Hope" of casting off forever after the surgery. Unfortunately, this surgery was terribly botched and resulted in numerous complications. 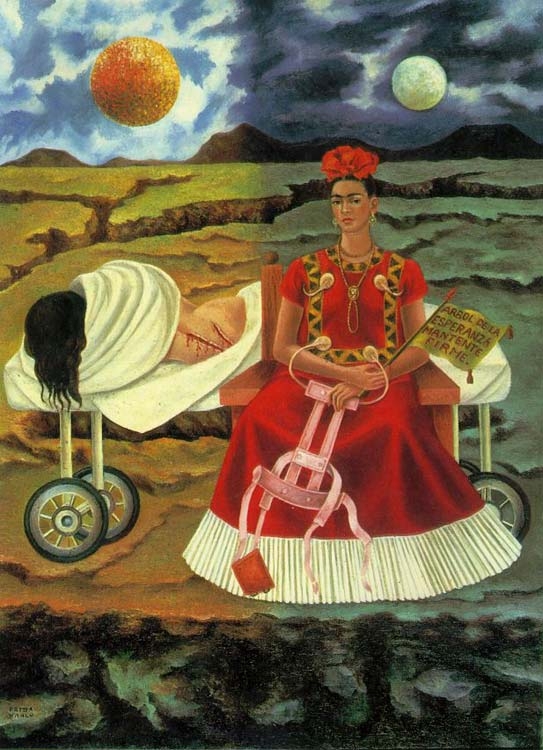 It has been described as "the beginning of the end" for Frida.